Techno legend Dave Clarke sat down with Resident Advisor last year and talked in detail about his 30-years inside the DJ game. "Clarke is well-known and respected for a few different reasons, but his style of DJing is chief among them. He plays techno and electro with the flair and ferocity of a hip-hop turntablist, and he strongly believes in DJing that goes beyond blending one track into another. Back in the '80s, he was indelibly influenced by the showmanship of hip-hop DJs, and adopted their techniques to suit the dance music he was playing. When I caught up with him in the week following the Melkweg gig, he was unable (or perhaps unwilling) to dissect his arsenal of tricks—at this point, he explained, his sets are almost purely instinctual, the product of decades spent refining his style in clubs around the world." 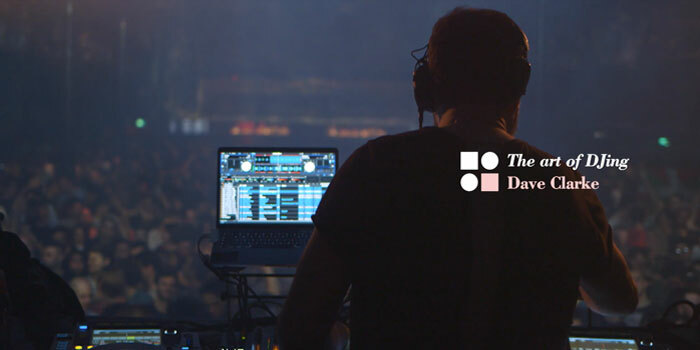 Read the full interview with Dave Clarke here and view one of his classic sets below.